Throughout the ages, Chrysler has built some of the most visually radical cars the world has ever seen. A lot of their vehicles pioneered some design work in the classic hot-rod-era and paved the way for idiosyncratic body style on American cars, today. While a lot of these models are now discontinued, we at Great West Chrysler like to fondly look back at some of the Chrysler models we thought perfectly captured the unique design work that made the company a trailblazer in the automotive industry. Not only is the PT Cruiser a classic, but it’s a household name synonymous with turning to your sibling and punching them as hard as you can on their shoulder. Why? Because the PT Cruiser Bruiser stems from the vehicle being an instantly recognizable car—some would say it’s an icon. The five-door hatchback is known for its high-roof, h-point seating, and configurable cargo options. Sadly, Chrysler discontinued the PT Cruiser in 2010, but much to the relief of many younger siblings. 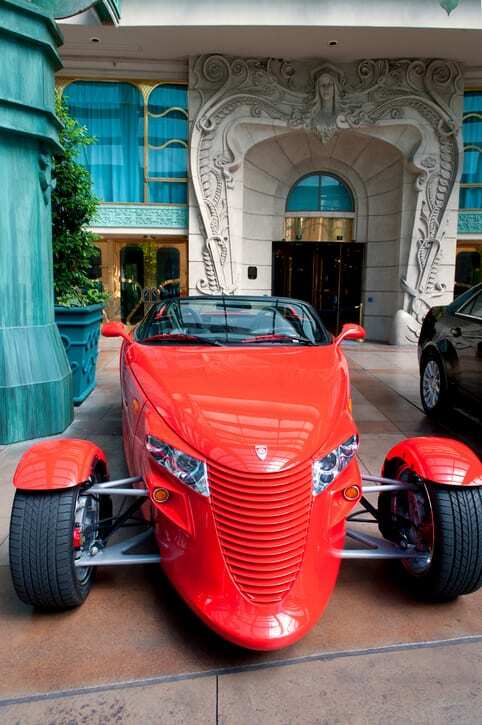 One of the first vehicles Chrysler designed for its “hot rod” line of cars, the Prowler remains one of the most eccentric designs to date. Its retro styling was based off the 1993 concept car of the same name, aimed at recapturing the era of early 30’s hot rods, with its indy-racer-style front wheels as its most notable design feature. The most prominent iteration of the Prowler comes in a purple metallic colour model, most notably known for being the one Hot Wheels toy everyone in the daycare would fight over to use in their Lego city parkade. Another icon of its era, the Chrysler 300 “letter series” exudes 50’s/60’s era design and aesthetics. The first model, which was the C-300, was released in 1956, where its naming conventions eventually switched to the 300B and so on. This was one of the first Chrysler models focused on performance and power and built by an American manufacturer—some would say it was the ancestor of the American muscle car class! These were only a few of the models we could touch on for this look back, but be sure to keep updated with Great West Chrysler for when we look back at other retro models in the future.